Warts are common infections of the skin caused by a virus. 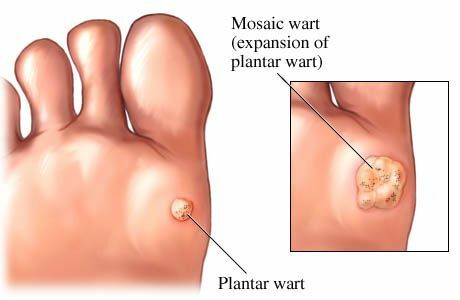 There are two common variations: a common wart and a plantar (sole of the foot) wart. They are caused by the same virus. The hands and feet are the most common locations but you can have them anywhere on the surface of the body. Treatment isn't always necessary since warts disappear in months up to 3 years. If the warts don't resolve or make your child uncomfortable then there are measures to reduce their size or remove them. Over the counter therapy is available without a doctor visit. Compound W or similar non-prescription treatment does work if you are patient and follow the printed instructions. If your child is older (8-10 years) then freezing them may be an option but young children find the process uncomfortable so a home therapy is the method I recommend. I am happy to review your options and confirm your suspicion of warts with a visit to the office.